Microphones can climb in price as quickly as they climb in features and specifications. They say that a mic’s price is a direct reflection of the quality of sound it’s capable of reproducing. However, the fact of the matter is that you probably don’t need a studio-level mic. Audio quality is important, but the best pc microphone is easy to use, versatile, and affordable. There are plenty of reasonably priced options out there. Whether you’re a gamer, live streamer, podcaster, or just need a mic to Skype with your sister overseas – these microphones will give you the best bang for your buck. To help you pick the best pc mic for you at an affordable price, we’ve researched the most important features to look for and put together a list of the best pc microphone on the market in 2018. What to look for when deciding which microphone is best for you can be tricky, especially when you don’t want to break the bank. The most important first step to buying a pc microphone depends on how you plan to use it. Do you have a home studio or are you looking for something to record an instrument or vocals? Are you a gamer or are you creating videos on your pc at home? Do you need to record on the go? 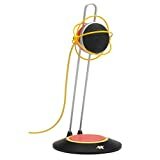 Will you need to buy a stand or any other equipment to make the mic work? All microphones are definitely not created equal, as some were crafted with vastly different audio recording qualities. Knowing what each mic type offered is critical to choosing the right mic for your needs. Dynamic microphones, for example, are versatile, simple, and sturdy. They are made to handle frequent setup and tear-down, which makes them perfect for live performances. Condensers, on the other hand, are more sensitive and best used for studio recording. Although, these often take phantom power to run, which might mean you’ll need to purchase extra equipment. But you want a mic that sounds great under any circumstances, that you can use for all your needs, without buying more fancy gadgets. USB-powered mics are budget-friendly and convenient solutions for everyone. Whether you need a condenser or dynamic mic, most USB mics are versatile and can work with iOs and Android apps as well. This is a popular option for many pc microphone users because it plugs right into your computer. 3.5 mm standard is the most common option used. Frequency response: The range of frequencies, from low to high, that a microphone can pick up. This range is referred to by the lowers and highest frequencies it reaches, measured in Hertz. A vocal mic should have a response range of around 80 Hz to 15kHz whereas if you want to capture bass or low-end frequencies, you’ll need in between 40 Hz to 30 Hz. Versatility: Polar patterns, or the shape of a mic’s sensitivity field, allow the mic to take in sounds from different directions. A multi-pattern microphone can be changed or switched from one capability to the next, which allows you to have added versatility in how and where you use your mic. For a mic that you can use anywhere, even in noisy settings, a multi-pattern option is best. Adaptability: Think about how you plan to use the mic. Everyone’s desk is set up differently, so it’s important your microphone is positioned six inches from your mouth. Where will it sit so that it’s comfortable and out of the way? Do you need to purchase an extra stand? Is the mic also easy to setup and tear-down without a lot of practice? Price: The world of audio spans in specs and in price. Don’t let the world of technology carry you away, you don’t have to spend a massive amount of money to find a great mic. In fact, the best mic is one that many people can use a review, one that’s affordable for the masses to buy and use. Keep in mind that the best and only real way to know the difference between a great mic and a lesser one is by listening to its recordings. You’ll also want to take the appearance and style of your microphone into account if your viewers will often see it sitting on your desk as you talk into it to record videos or podcasts. After our extensive research, we’ve rated and put together a list of the top 10 best pc microphone in 2018. We have sorted them in order of best overall rating. 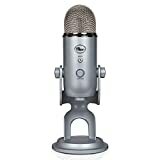 ​Our top pick for the best computer microphone, the Blue Yeti is an excellent mic for a variety of uses. From live streaming to gaming and everything in between, microphone quality isn’t sacrificed when it comes to this high-end and affordable option. Even pro users choose the Yeti for its fantastic audio quality and adaptability. If you’re using the mic for work purposes, it won’t pick up keyboard and mouse clicks. You can even switch it between 4 different modes, allowing you to use it for solo speaking, conference calls, in-person interviews, music recording, and so much more. Easy to set up and take down, you can plug in headphones to adjust the volume or change how sensitive the mic is. 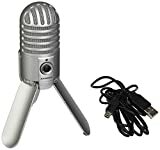 This computer mic even performs well under less-than-ideal conditions and comes with a sturdy base, so you don’t need to worry about speaking directly into the mic or adjusting your mic position. You can’t always have the microphone sitting directly six to eight inches from your mouth without blocking your view of your screen, and the Yeti was designed for to allow you to shift and move without sacrificing audio quality. ​One of the best computer mics out there today when it comes to travel and portability, the Samson Go Mic can easily sit on any desk or be clipped directly onto your laptop screen. With a headphone jack for live monitoring and a frequency response from 20 Hz to 18 kHz, you’ll be sure your recordings sound great in real time. It’s compact, and the carrying case it comes with allows you to easily transport your mic from the office to the road. This a great option for a portable USB mic because it can perform well whether you’re recording YouTube videos or chatting on Skype. If only it has multiple pattern selection options! ​Apple MFi Certified, the Shure MV5 is a great computer mic that can directly connect to any iOS device without the need of adapters. This means you can easily pair it with your iPad or iPhone to use with music apps easily. This option is portable, as it’s small enough to carry on-the-go and you can take it off the stand to lay it on a desk or table without sacrificing sound quality. Plus, it includes a headphone jack for monitoring purposes, three preset DSP modes (vocals, flat, instrument) and comes with a lightning cable so you don’t have to purchase another cord. Customer reviews also state you can use this mic with Windows and Android as well. 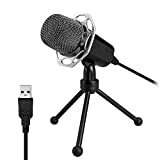 ​If you’re looking for a mic with the power of a studio microphone and the convenience of a USB connection, here’s what you’ve been waiting for! The Rode NT USB allows you to fine-tune the balance between live and backing tracks with the simple turn of a knob. Not all mics have this feature, and this one looks amazing and is quality built. Recording quality wise, it’s similar to the Blue Yeti. However, the Yeti comes with a stand a few other features that this mic does not. Perfect for anyone who wants to create music or gaming content, live stream, or voice conference, the NT-USB has a 3.5mm port that’s great for live monitoring. The only reason this mic is not ranked higher is that, due to its higher price tag, it lacks in features and versatility in relation to other mics on the market today. ​With a dual-capsule, frequency response of 40-18 kHz and a circuit design that wins awards, the Snowball is a USB mic that produces clean and crisp recordings. Like the Yet, this mic has a unique pattern switch. This allows you to toggle between its three settings to choose the multi-pattern option you desire, for omnidirectional or cardioid recording, which allows you to sing and record music, create podcasts or video interviews, or video chat. Featuring a quick setup so you can “plug and play,” the mic is easy to use even for beginners. It also comes in various colors, blue, green, aluminum, and black, so you can color coordinate with your office décor. In short, this option looks cool, is super easy-to-use, doesn’t take up much space, and sounds great! ​While often targeted at gamers, this mic has a ton of awesome features! The OLED display allows you to see the grain level of the mic and the current pick up pattern, which makes this option great when you need to record in a pinch. There’s even a mic mute button that changes color for ease of use. Plus, the four pick up patterns allow you the versatility you need to record in any situation you can think up. However, the sheer size of the mic is a huge turn off because it is by far the heaviest mic on this list. Size aside, the Razer sounds great (on par with the Blue Yeti). ​Versatile and all-encompassing, this condenser mic has some excellent features. 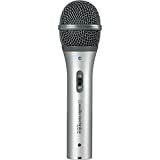 It comes with a 25 mm diaphragms, one of the biggest on the market for USB mics, and a clean frequency response with 44.1 – 48 kHz resolution for clear recording. You can use it anywhere thanks to the plug and play feature, and the front of the unit has a convenient volume control. When it comes to decent options, Samson is great for creating decently priced mics with quality attributes. Custom Capsule, integrated internal pop filter, shock mount, and adjustable height. Perfect for Skype, conferencing, podcasts, video blogs, voiceovers, music, and more! ​Perhaps the most stylish mic on our list, this USB microphone has an atom-inspired design that will brighten up any office space or game room. Don’t worry, this mic has brains and beauty! With an internal shock-mounted condenser capsule that provides a frequency response from 20 Hz to 20 KHz, you can record only the best sound no matter what you’re doing. This makes this mic great for video conferencing, creating videos, or gaming. It’s compatible with both Mac and PC, easy to use, and you can set up everything in a matter of minutes. Plus, this mic is lightweight, at only 1.4 lbs., but sturdy on the adjustable stand, so you can adjust it easily. ​If you’re looking for an entry-level mic that’s easy to use, this PC mic can be used with either USB for a more direct connection to your computer or laptop or XLR for use with a mixer or audio interface connection. This means you have a lot of flexibility in how you use this mic. Plus, you can use it handheld or with the stand that’s included for desktop use, making it a perfect option for vlogging, podcasting, live performances, home recording, and so much more. With this mic, you may need to purchase some accessories, but it produces decent sound for a very small price. ​If you’re a student or just need a mic to video chat or create home recordings, this is the best and cheapest option you’ll find. Budget-friendly and sleek, the Xiaokoa features high-quality metal mesh and a built-in sponge to reduce background noise. You can listen to yourself as you record with the earphones and you don’t need any software or drivers to start using this mic instantly. Plug the mic into your pc and start recording, just don’t expect it to sound the best. Customers say you may her slight pops with using with online games or the phone. It’s important for us to create ratings that are accurate and honest, so we look at testimonials and reviews from customers around the globe. After reviews are scoured, we analyze data about the product, taking into account the brand’s reputation, the price in accordance to the price tag, and who might need certain types of specifications, to create a comprehensive rating that covers everything you need to know in order to buy the best pc microphone in 2018.